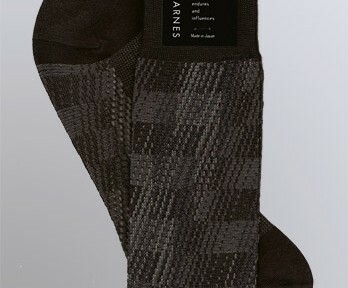 We’ve got the perfect stocking stuffers for all the men in your life – Jhane Barnes socks. They are the finest double knit jacquard socks in the world, made with only the best quality Egyptian and California cotton. The double knit process allows the socks to be thin, yet last a very long time (most socks on the market today are single knit). You will notice in the toe area the seaming is flat. This is because the toe is hand looped -which is the best possible method of finishing a sock. This method was chosen because of how the sock feels when the shoe is on the foot and also for durability in washing. So they’re long-lasting, luxurious and super-comfortable. Really, the perfect stocking stuffer. And now, during our holiday sale, you can save 25%. This entry was posted in From Jhane's Team and tagged gift, menswear on November 28, 2012 by LOri39.